Aug. 6, 2015: the end of an era. On this somber day, Jon Stewart signed off of “The Daily Show” for the last time, ending his sixteen year tenure as the show’s host and leaving us, the unwashed masses, to wallow in our sadness and political ignorance. Stewart used “The Daily Show” and his own unique brand of satire to challenge the status quo and create a genuine and intelligent political dialogue. In his opening monologue, freshman host Trevor Noah described him as a “political dad” for many in his audience. Before landing the job Noah was pretty much a nobody. He had appeared on “The Daily Show” only three times, first appearing as a contributor, and then graduating to the rank of senior international correspondent. Noah was mainly used a vessel to point out how little Stewart, and by extension the audience, knew about international events. He has also done stand-up comedy in the past and is somewhat famous in South Africa. Noah has been rather humble about his new position. He began his premier episode with a monologue in which he, more or less, stated how grateful he was, and how much Jon Stewart means to all of us. This opening allowed Noah to quickly acknowledge that he is no Jon Stewart and simultaneously (as he has stated in interviews) state that wants to build his own, individual brand of satire. 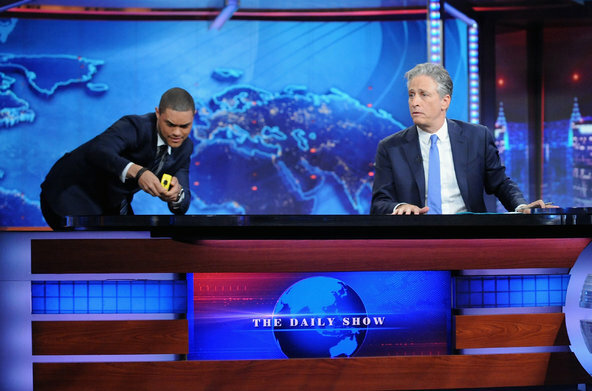 Given the format of “The Daily Show”, some may draw similarities between Trevor Noah and Jon Stewart, perhaps complaining that they may be too close in comedic styling. This is really more a result of the form, rather than a fault of the hosts. “The Daily Show’s” new banner. Image courtesy of http://www.hulu.com. Despite similarities to Stewart, Noah is able to apply his own background into “The Daily Show,” injecting some international flare into his jokes. A South African upbringing allows Noah to take concepts that seem so natural (or even necessary) to our American political system and show just how ridiculous these are from an outside perspective. Being the new host, Noah still has to test the waters though. He throws all the jokes he can at the audience. Some land and some do not, but that’s just how comedy is. But when Noah’s jokes land, they land well. Unfortunately, however, Noah still needs to perfect his interviewing style. So far guests either seem to have a fun time and engage in thoughtful conversation, or have an awkward conversation in which Noah may seem almost disinterested. His blunt, sarcastic attitude can sometimes give off a feeling that Noah is apathetic towards his guest or feels they are not worth his time. We may just have to get used to this. Unlike his predecessor, Noah lacks a repertoire with his guests. Hopefully this is merely a symptom of his inexperience as a host. As far as the segments of the show are concerned, the opening segments are still amazing. Noah works hard and seemingly puts all of his energy into delivering humorous, yet informative content, something Jon Stewart had perfected. 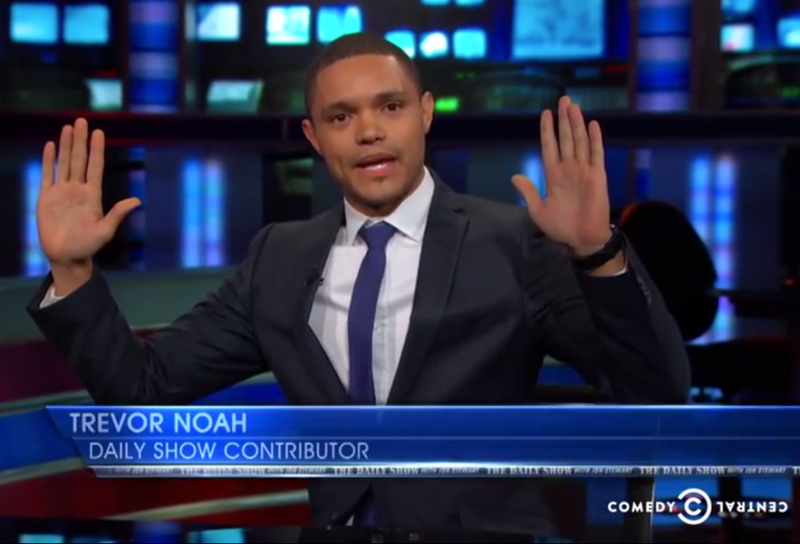 The middle segments of “The Daily Show” are still well done, and Noah is normally aided by his talented correspondents during this portion. He and Jessica William’s rapport on the recent Oregon shooting was especially powerful, in which they used obviously prerecorded footage to show how these sorts of mass killings happen far too often in the United States. Regardless of some minor flaws Trevor Noah may have as a new host, the audience should remember he is just that: a new host. He still has time to grow into his new role. Is he as good as Jon Stewart yet? No. Will he ever be as good as Jon Stewart? Who knows? Maybe. But, over the short time he’s been in the spotlight, the audience has come to know a very capable new host with a lot of hidden potential. Jon may be gone, but the show has been left in good hands. Over time, perhaps the next generation of viewers may grow to idolize Trevor Noah, just as the one prior idolized Jon Stewart. “The Daily Show” may have changed hands, but this is no time to tune out; there is still much more fighting to be done in the “war on bullsh*t,” and we have a very capable leader.